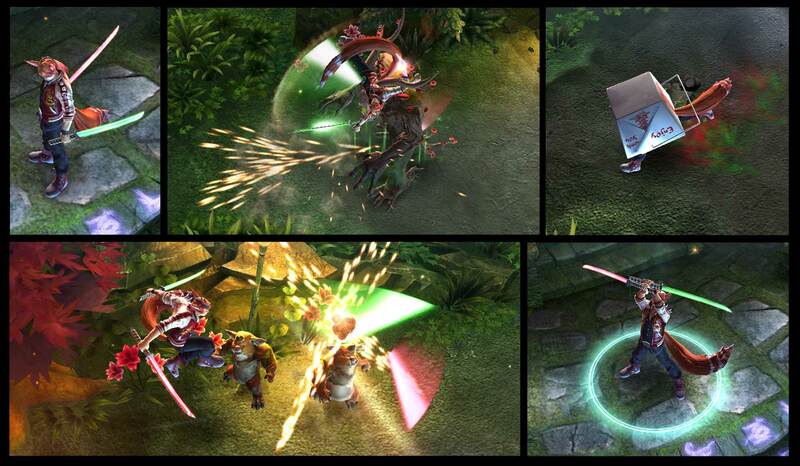 Vainglory Update 2.2 is coming with a new tank hero and a new look for the Halcyon Fold. Spring is here! 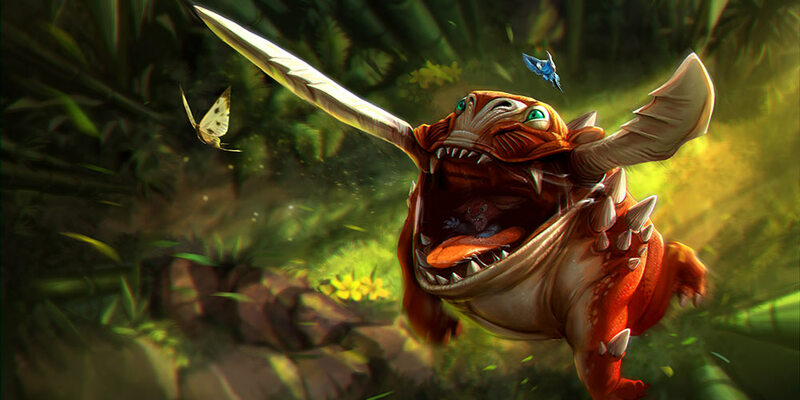 Grumpjaw’s hardened carapace grants him increased defenses. Every few seconds and every time he basic attacks, he gains a stack of Living Armor, up to a maximum of 5 stacks. Each stack grants bonus Armor and Shield. Enemies can remove stacks of Living Armor by dealing damage to Grumpjaw. He loses one stack per second while taking damage from basic attacks and abilities. Grumpjaw will be unlockable with ICE only for the first seven days. 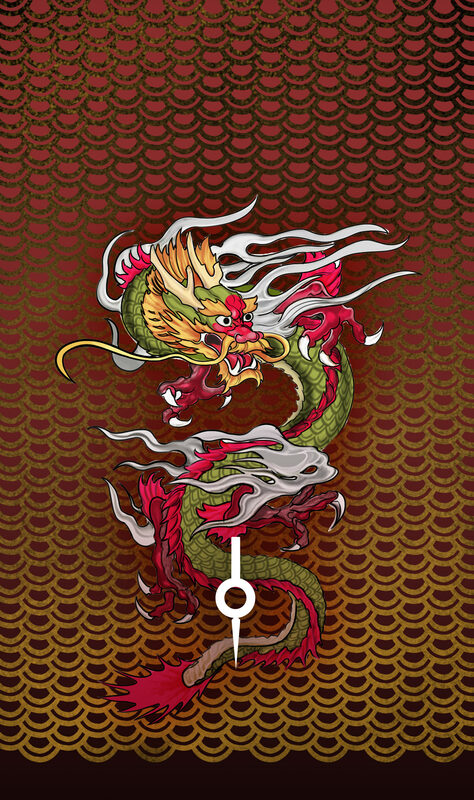 Afterwards you will be able to unlock Grumpjaw with ICE or Glory. In Update 2.2, the Lead Environment Artist EvilOnTheInside brings a complete visual rework to the Halcyon Fold. Full of lush grass and plant life, the new “Classic” skin is brighter, greener and provides better visual clarity to players. “The new map skin adds life and vibrancy to our gameplay,” explains CaptainNeato. When a seasonal map is not being used, this will be the default map skin. 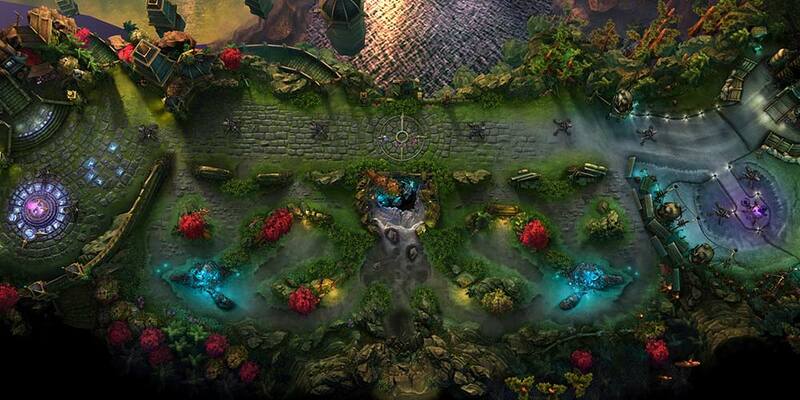 Players entering the Halcyon Fold in Update 2.2 will notice that the color palette has been completely changed. Before, Vainglory’s default map had a desert aesthetic featuring hard-packed brown earth. The lighting has been cooled down so it looks more like dusk than sunset, thus deepening the shadows in the jungle. In effect, the lane is brighter but the jungle is darker, providing a bigger contrast between geographical features. We wanted to see something as inviting and life-filled as a rainforest. 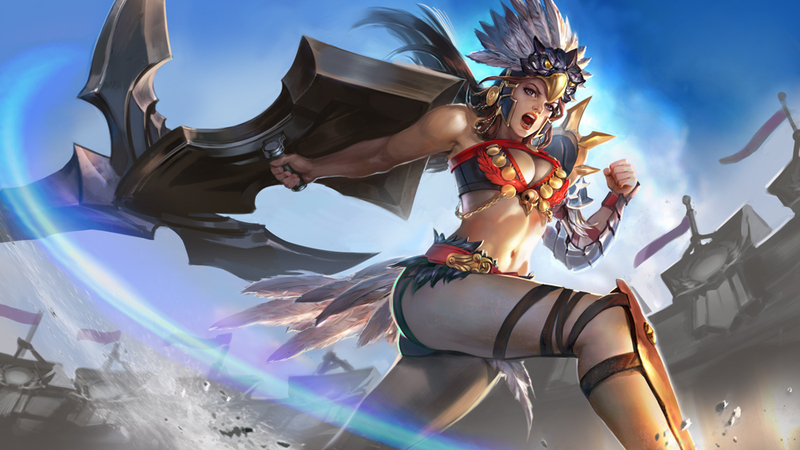 The creation and implementation of the new default map skin creates opportunities for Vainglory’s art team to focus on creating new map skins for the different game modes. 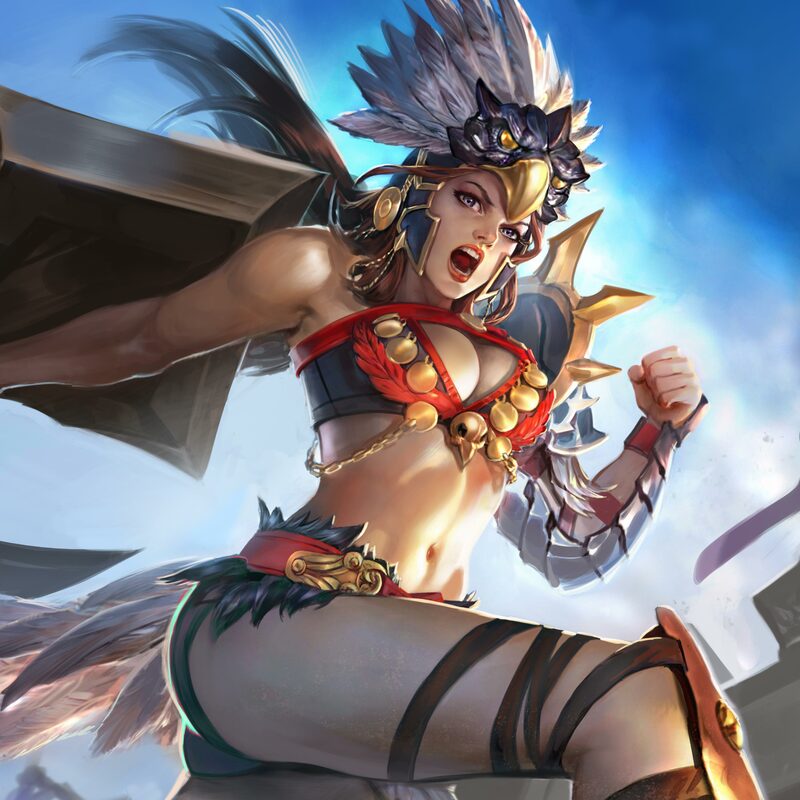 As Vainglory continues to develop and expand its offerings, players should look forward to both updates on the game’s classic features and exciting new content. 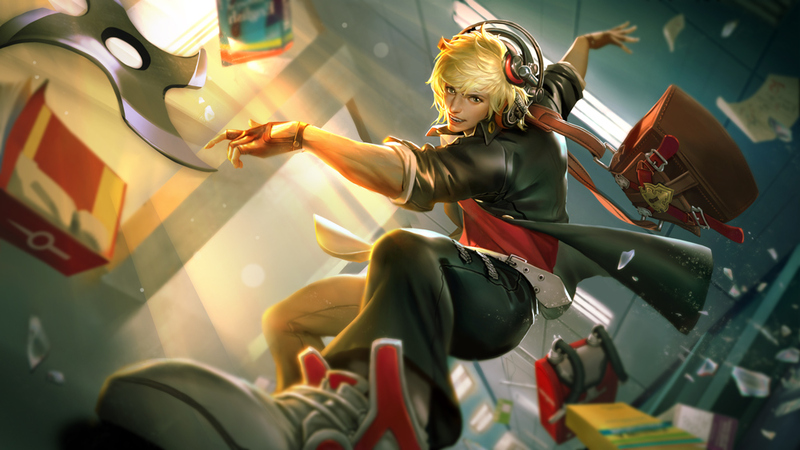 Introducing the ‘School Days’ Skin Series! 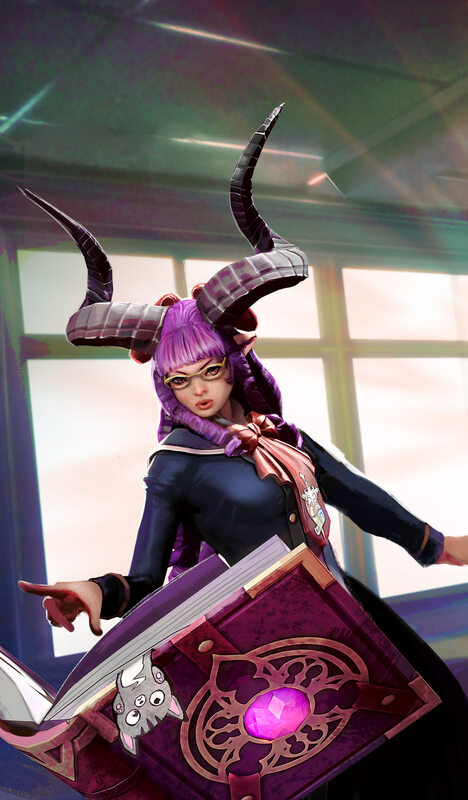 ‘School Days’ Lyra rules her school, and she’s here to teach you how to be one of the cool kids. Do you make the cut? 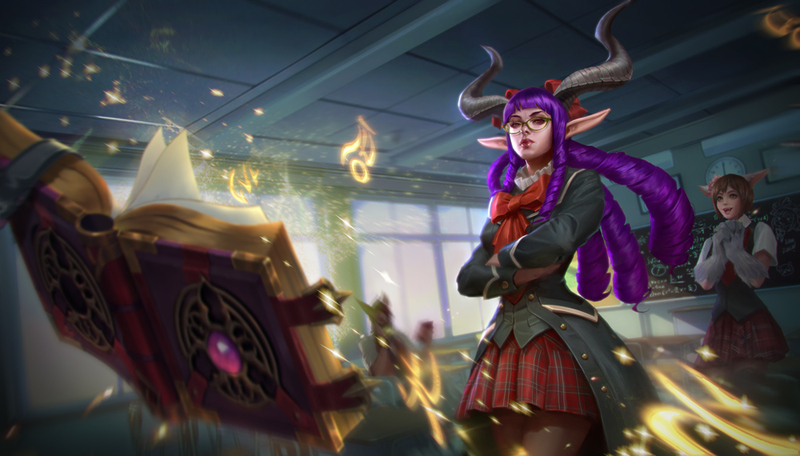 Click here to see more about this new Lyra skin. ‘School Days’ Vox throws the best parties. Read on to find out how he secured his place in the school’s top squad. 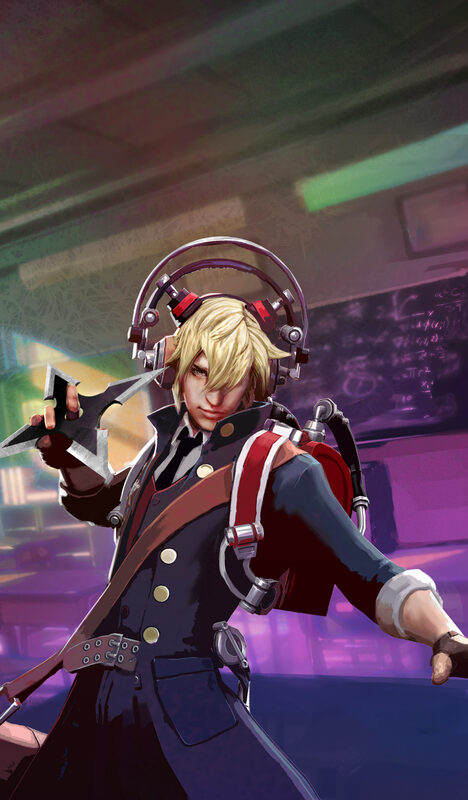 Click here to see more about this new Vox skin. 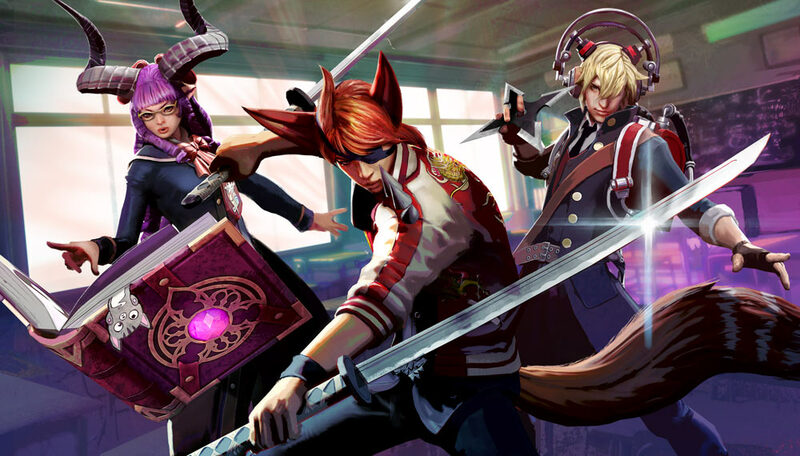 ‘School Days’ Taka keeps the student body honest. Cheaters beware – that isn’t just a takeout box! 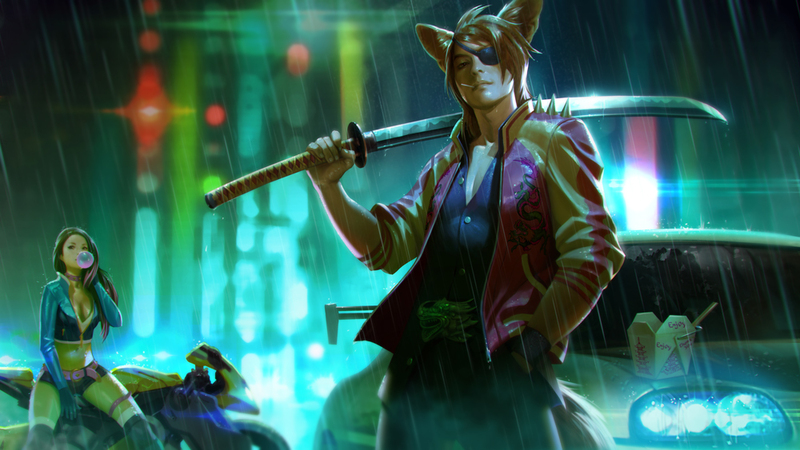 Click here to see more about this new Taka skin. A painful reunion with ‘Gladiator’ Ardan turned into a bloody battle with ‘Gladiator’ Lance in the sands of the Gythian arena. This pulse-pounding story ends with the epic ‘Gladiator’ Catherine, fighting to save the life of her enemy. 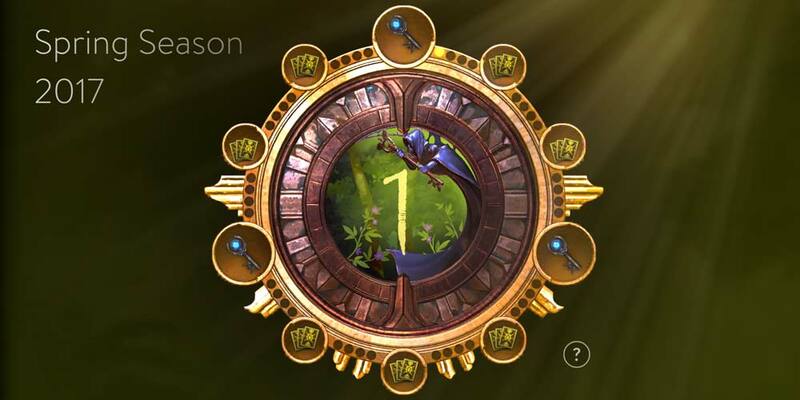 Revamped rewards at milestone Sunlight levels and more frequent Daily Chests redesigns how seasons should feel. 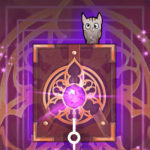 Leveling up your seasonal sunlight will result in larger bonuses at milestone levels. You’ll also be able to determine the type of rewards based on the indicator at the level marker. Daily Chests no longer improve with sunlight level, but occur more frequently and include mini jackpots. More details on Daily Chests can be found in the section below. Players will now receive a Daily Chest every 6 hours instead of once per day. Also, players will have two slots to store Daily Chests, so you can save up two chests before you need to start opening them. Once you have at least one Daily Chest available, you can tap to open it and reap the rewards. 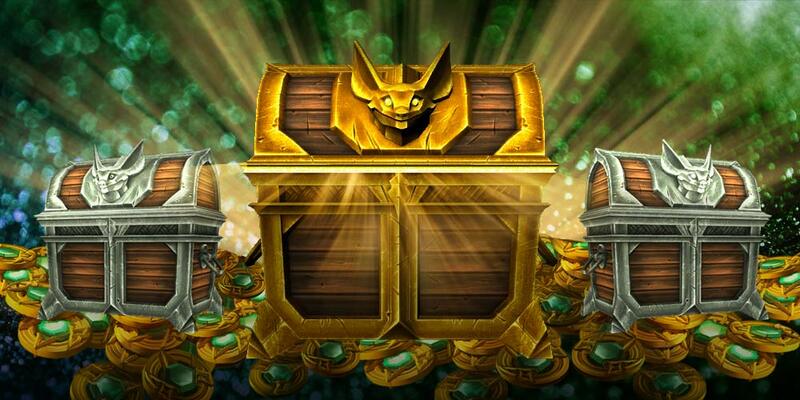 Watch for special jackpot rewards that you’ll find in your Daily Chests! Quickly find the perfect hero for the game you’re playing. Choose to sort the heroes by the traditional method (English A-Z) or by role. Wondering which role to play this match? Sort by role and quickly find a hero that fits your mood. Note: sorting options are only available in Blind Pick matches. Match history, hero win rates and win streaks. Need I say more? 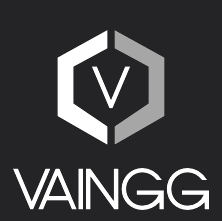 This community has taken our API powered by MadGlory and created things we could only dream of. Match history is just the beginning. These are just a few of the many options players have at their fingertips, and we’re just getting started. 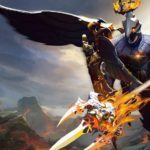 The Vainglory API Challenge was announced last week, encouraging the community to create awesome applications for everyone to use. It’s not too late to sign up, and the developers of the best app could win a trip to the Lair! Click here to learn more. When playing Ranked in Update 2.2, you’ll definitely notice a new feature added to the matchmaker; pre-made 3-man teams will only match with other pre-made 3-man teams. This greatly balances matches to empower players who are playing solo. Play with confidence knowing that if you are solo, so is at least one person on the enemy team. The Blitz Beta has been a roaring success. The fast-paced five-minute matches are exciting, but still evolving. We’ve added a few announcer lines to the Blitz Beta to alert players when time is running out and for other key moments throughout the match. Objectives around the map now have visual identifiers that represent the number of points they are worth to a team. Now you’ll know how #worth the Gold Mine is when you sacrifice yourself to steal it from the enemy team. Blitz matches now count towards the first- and third-win bonuses, as well as the Sinister Seven. 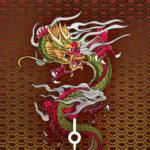 Win matches seven days in a row for bonus Glory! Players can now quickly learn what an ability does while in a match. Tap and hold on an ability to see how it works. Because of how Tooltips will be activated, abilities will now be cast when they are released rather than when they are pressed. Players can opt out of tooltips and have abilities cast when pressed by adjusting that option in their Settings. 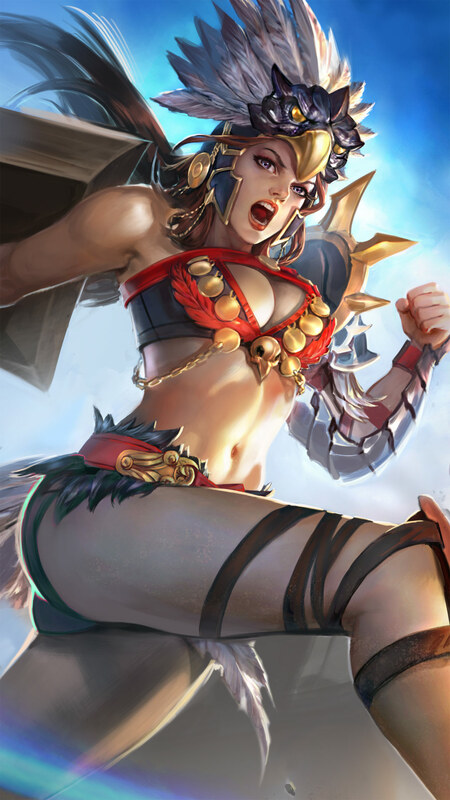 Updated ability descriptions for Rona, Kestrel and Alpha. 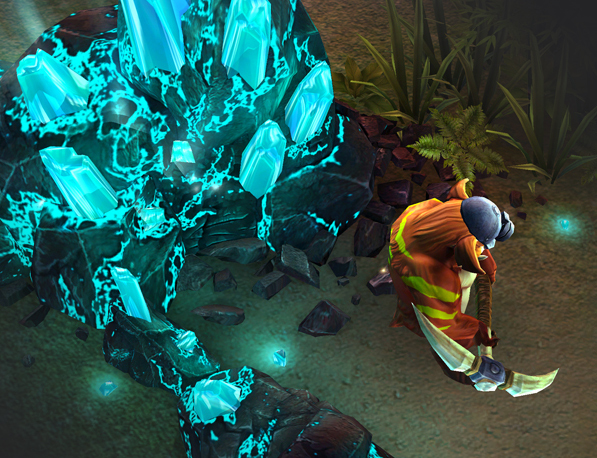 We’re renaming the Crystal Miner to the Crystal Sentry to prevent confusion with Gold Miner and create a more descriptive title for your jungle defender. Crystal Miner has been renamed to Crystal Sentry. Crystal Sentry deaths will now include team-specific announcements, including the number of lives remaining. A few changes to announcements to let players focus on the match and stay updated with what’s happening on the map. The announcement for jungle spawning at four minutes has been improved. First Blood will now include team-specific announcements. We’ve made big improvements to Quick Buy so we’re giving players more options on how they use it. A majority of the heroes have had their recommended items updated. Players may now disable Quick Buy while the shop is open. Brawl modes will remember if you have Quick Buy turned off between games. 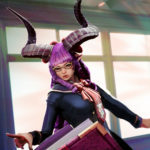 These changes grant Catherine a bit more punch for those early engagements and allow her to opt into that extra stun duration when necessary. Taking the overdrive on this ability will still be incredibly powerful against teams with high burst damage. 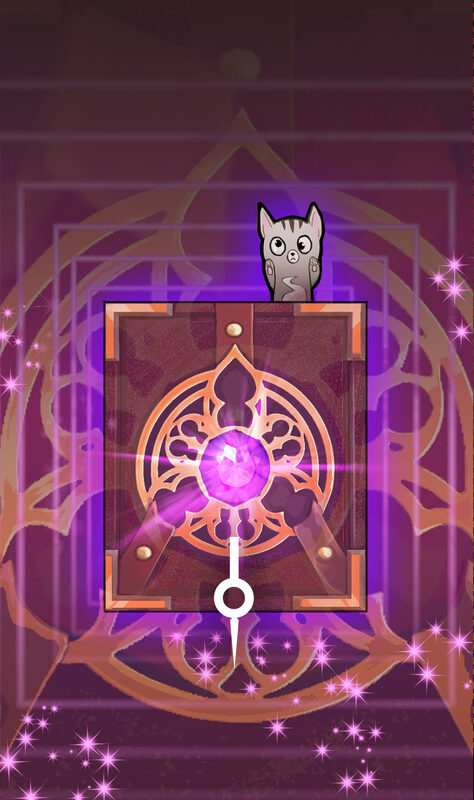 This change makes the overdrive a bit less necessary and allows Catherine a few more options when deciding how she wants to spend her ability points. These changes give Catherine a few more opportunities to engage early on while empowering her ultimate in the late game. Be sure to take that third point if you need to keep your opponents silenced! Granting Fortress a bit more power early in the game when choosing to put more points in this ability. If you want to lead your team headlong into a battle, be sure to put some points here! These wolves were particularly tough to deal with early in the game. By cutting down their lifespan and dropping the cooldown, the wolves will be a bit less threatening early while still becoming a significant force later on. More reason for Idris to take up his Crystal path over Weapon if he is opting to rely on his Chakram for damage. 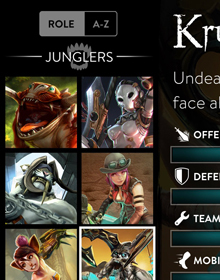 This change grants Krul many more options when he chooses to engage with his perk. He additionally becomes a much larger threat when he catches unsuspecting foes inside a brush. 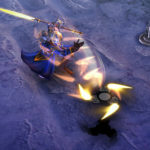 By tuning down his base damage, Lance takes just a bit longer to whittle down his enemies in the early game, allowing his foes a chance to trade against him more favorably. 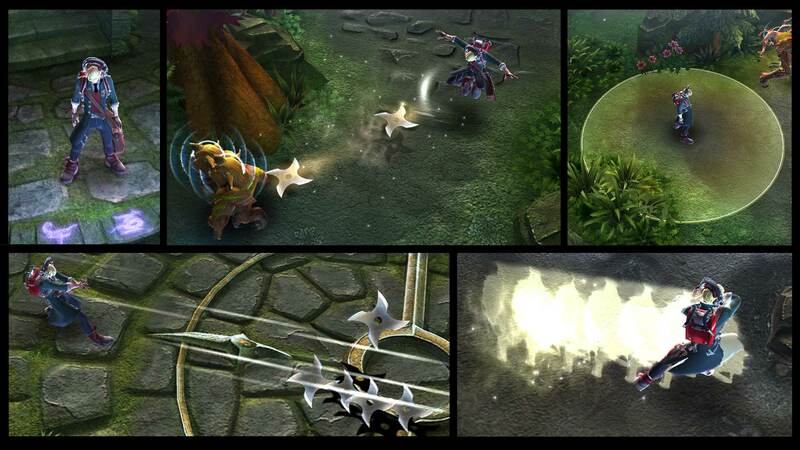 Combined with the change to Gythian Wall, Lance’s ability to keep an enemy locked down has diminished just a bit. With a decent amount of Crystal Power, the stun on this ability was lasting too long, allowing Lance to lock someone down almost indefinitely. This should help relieve some of that frustration. While a strong offensive tool, Acrobounce still puts Ozo at risk. Properly timing when to use Acrobounce is increasingly important with the reduced cooldown. Increasing Ozo’s options early in the game. 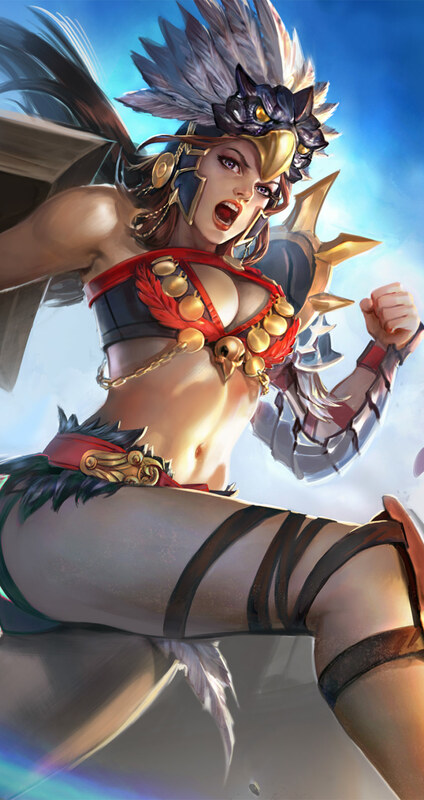 With the ability to engage much more frequently, Ozo becomes a much larger threat to unsuspecting foes. This change forces Petal to be a bit closer to the fight while still being able to dance around the outskirts. Crystal will continue to be Petal’s primary path, but we want Weapon to feel a bit more viable. Ringo had a few too many options early on in the game and was a bully in the lane. With a bit less energy early on, Ringo players will need to think twice about constantly using their abilities. The early levels on Achilles Shot were a bit too punishing for Ringo’s opponents. However, with the the increase in energy cost at overdrive, Weapon builds may need to reconsider using this ability as a tool to constantly harass their foes. 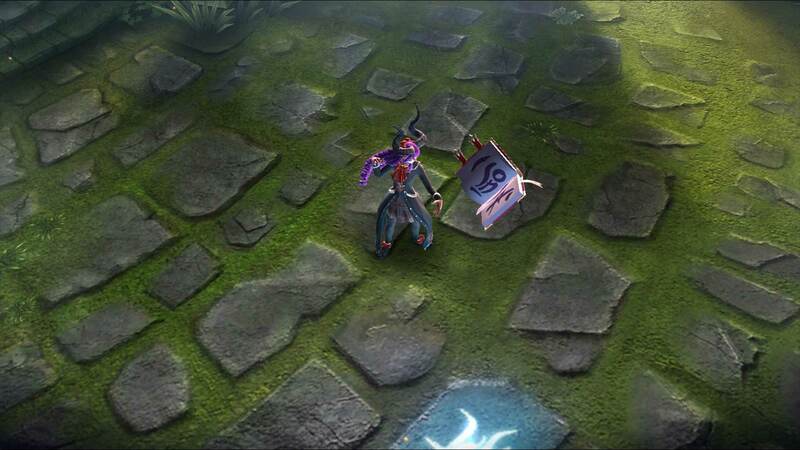 Though Skye gained some utility on Forward Barrage, it was proving to be a bit too weak. By adding some damage, it is just powerful enough to push enemies away from it. 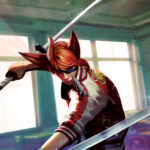 While a small change, Taka players will be able to keep Ki stacks up more easily which allows him to conserve his ability usage for more key moments. 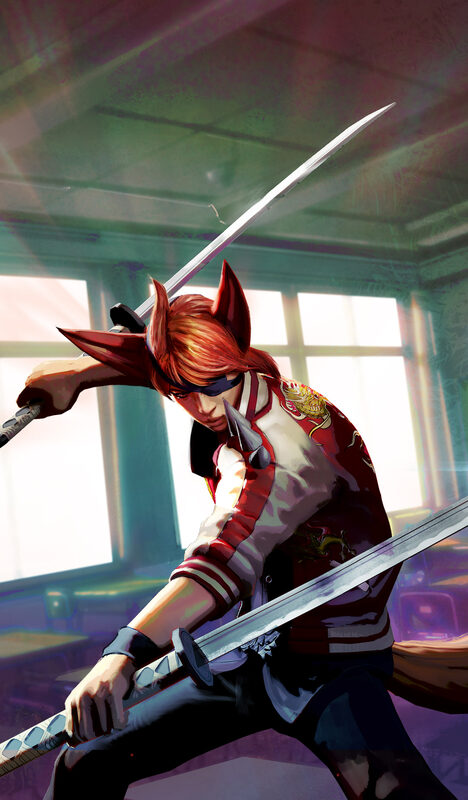 A slight increase in the amount of damage Taka can dish out paired with the energy cost reduction will allow him to more efficiently assassinate his targets. 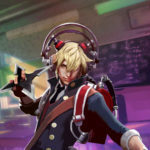 Reducing the slow duration on this ability allows enemies to keep in step with Vox more easily, helping to reduce the difficulty many heroes have in chasing him down. 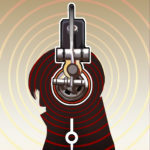 Dropping down the burst damage that Vox can deal with his ultimate. 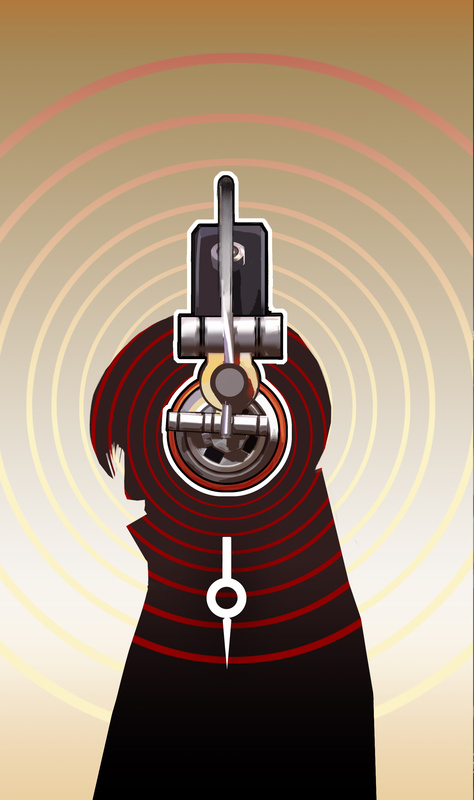 Paired with the resonance bounces, a weapon Vox was able to deal a bit too much damage against his opponents at the start of a fight. Though this item is being picked up in fairly specific use cases, offering a bit more damage to its wielder will allow for it to be viable in more situations. 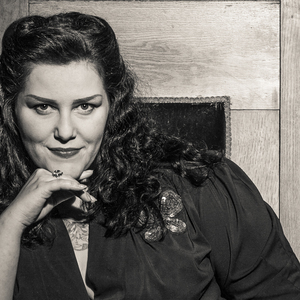 Ozo’s second activation of Three-Ring Circus will now feel more responsive. Items in the shop you can afford are no longer grayed out. Nullwave Gauntlet will now properly deal damage. Introducing the Idris’ Chakram Contest!